A brutal dog attack left four-year-old Lurcher, Banjo, terrified and facing a long period of rehabilitation. However, McTimoney treatment has seen him return to his old self and back competing in agility, just months after the accident occurred. Banjo and his owner, Trina, were walking to their routine vet appointment when the vicious attack took place. Another dog had escaped from a house on the residential street they were on and latched onto Banjo, pulling him up the road for several metres. Poor Banjo suffered deep puncture wounds to his neck and a large haematoma in his jugular which was also torn. 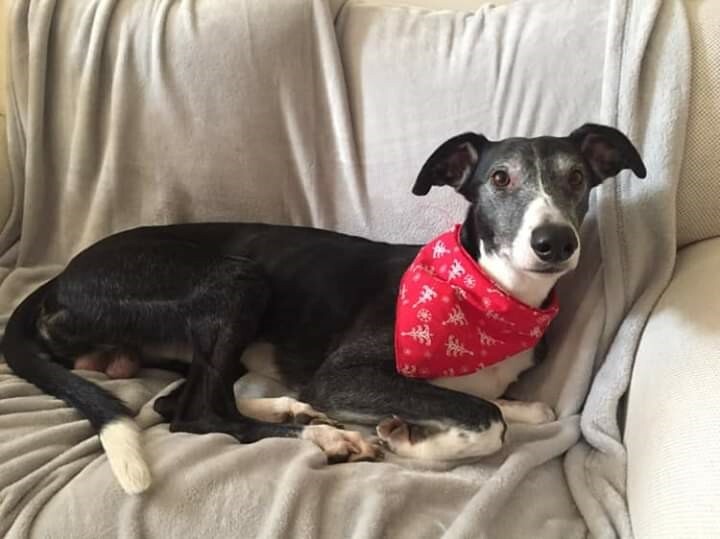 An MRI scan showed extensive soft tissue damage, however surgery to close the wound was decided against, as Banjo’s vet did not want to distress him further. Once his drip had been removed and the wound bandages were taken off, it was decided by Trina that physiotherapy treatment should be sought as soon as possible – which is where McTimoney Animal Association stepped in. 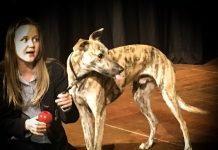 Chloe Adams, a registered McTimoney Animal Association practitioner, began visiting Banjo in July last year, just a few weeks after the attack. On initial assessment, Chloe discovered that Banjo was very stiff through his body and quiet in his personality. It was clear that Banjo was compensating for the area of injury as when asked to walk, he was reluctant to extend his left shoulder, instead, shifting body weight onto his right hind leg. 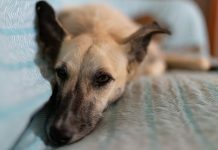 The McTimoney technique is an ideal choice of treatment for animals suffering from back, neck, pelvic and musculoskeletal problems. It is a form of chiropractic manipulation which balances an animal’s musculoskeletal system, with a focus of attention towards the spine and pelvis, the technique helps both to restore and maintain health, soundness and performance. By adjusting vertebrae in his spine and simultaneously working on soft tissue, Chloe was able to release tension to make Banjo feel more relaxed and comfortable. Chloe explained, “I worked largely on reducing the scarring of Banjo’s damaged soft tissue and making him as comfortable as possible, as quickly as possible. By the time of my second visit, he was very excited to see me, and since knows how to stand or lie down whilst I am treating him. The hard work and dedication paid off as four months on from the attack, Banjo continued to grow in strength, managing to run and play during exercise and even enjoyed visits to the beach whilst on holiday with Trina. Impressively, Banjo returned to competing in agility classes, which he had enjoyed regularly before the accident took place. In early January, Banjo took part in a competition for his local club, winning the class. He was awarded the Kristy & Gipsy Trophy for ‘Best Dog Returning to Agility After Illness or Injury’. “It was lovely to win Banjo’s trust so quickly following such a severe attack, and he obviously understood that what I was doing, was to help him”, says Chloe. 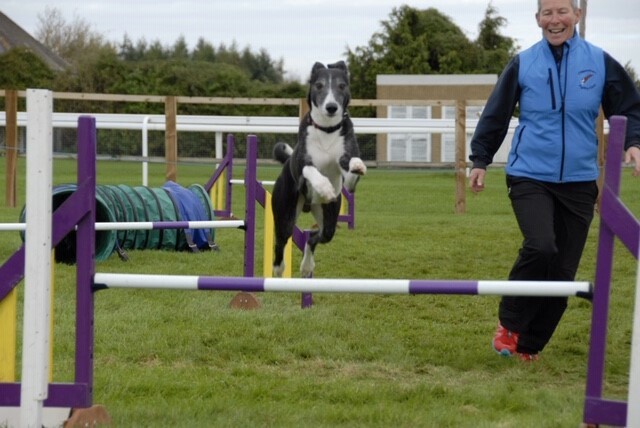 Trina and Banjo are looking forward to a busy agility season in 2019, and hopefully further success! For further information on McTimoney Animal Association, please visit www.mctimoneyanimal.co.uk.